Cinco de Mayo is an occasion of ethnic pride celebrated throughout the United States as well as in Mexico. The day commemorates a victorious battle that took place in Puebla, Mexico. There 4,000 brave Mexican soldiers triumphed over twice as many French fighters on May 5, 1862. Today Cinco de Mayo is a joyous holiday celebrated with food, fun, parades, and plenty of cerveza or tequila. Typically held during the first week of May, Cinco de Mayo springtime events include carnivals, street fairs, and multi-day festivals across the U.S. The best and most authentic Cinco de Mayo celebrations occur in locations with the highest concentration of Mexican people. Similar to St. Patrick's Day, Cinco de Mayo is one of those special times when everyone feels a little bit Mexican in their soul. 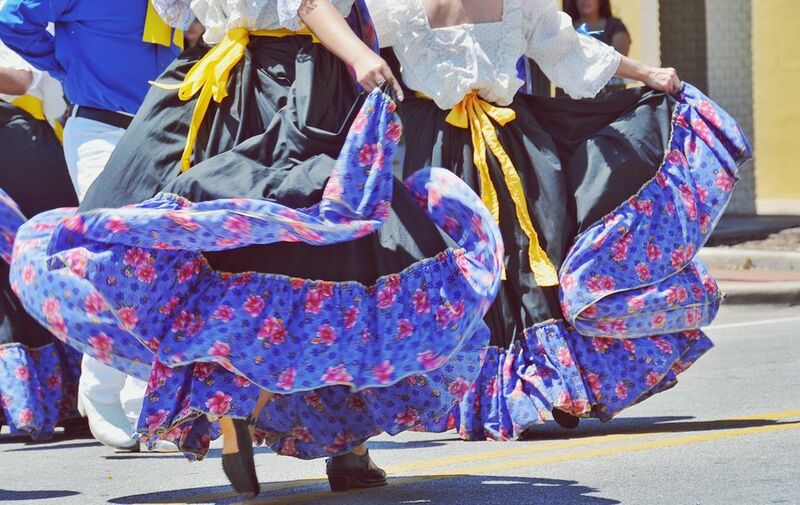 Since attending local Cinco de Mayo fairs and celebrations can make a getaway even more fun, consider adding one of these Cinco de Mayo events to your spring travel itinerary. Albuquerque, New Mexico - a celebration of Mexican art, culture, music, and even adoptable chihuahuas. Denver, Colorado - Lasting two days, the Cinco de Mayo Celebrate Culture Festival attracts 400,000 people. Hear live Mexican regional, Spanish rock, Latin jazz, salsa, ranchero, Tex-Mex, and Chicano rock music outdoors. Chicago, Illinois - This colorful Cinco de Mayo celebration in the Little Village neighborhood includes a festival, musical events, food booths, games, kids area, and cultural displays. Omaha, Nebraska - A parade, festival, carnival, and crowning of a queen mark Cinco de Mayo celebrations here. Phoenix, Arizona - Cinco de Mayo is celebrated in multiple venues throughout the desert area. Portland, Oregon - Mexican food and carnival enliven Tom McCall Waterfront Park during Cinco de Mayo celebrations. Reno, Nevada - More than 100,000 visitors attend this Cinco de Mayo celebration, which includes Latino music and food booths. Minneapolis, Minnesota - Cinco de Mayo takes place in District del Sol on St. Paul's West Side with music, food and a salsa-tasting contest, a parade, sports zone, wellness village, crafts, children's section, and history area. San Antonio, Texas - Cinco de Mayo festival with music and food, concerts and other commemorations takes place at historic Market Square. San Francisco, California - The Mission neighborhood goes all out in a joyous Cinco de Mayo celebration. Includes free all-day cultural entertainment, health screenings, Lucha Libre wrestlers, and a Mission Dolores tour. San Diego, California - There's live Cinco de Mayo entertainment at Bazaar del Mundo in Old Town and more festivities all over town. When it comes to celebrating Cinco de Mayo in Mexico, according to Mexico Travel expert Suzanne Barbezat, Cinco de Mayo is actually a more popular holiday in the United States than in our neighbor to the south. It is an optional holiday, and banks and government offices remain open. Nonetheless, if you want to celebrate in the country where the battle took place, plan a trip to Puebla. There is a parade on Cinco de Mayo and a re-enactment of the winning fight against the French. Did you know you can actually surf the Great Lakes? We tell you where!